Wow, I've created a blog. Now comes the hard part. Creating content for the blog. I began this blog as a way to compel myself to write more. So, what can we expect from these coming pages? I have no idea. Well, I sort of have some ideas. I like to take pictures, so I'll have some snapshots. You'll see my dog, plants and flowers, food I've cooked and enjoyed. I'm looking at this blog as an adventure. This is my dog, Sage. 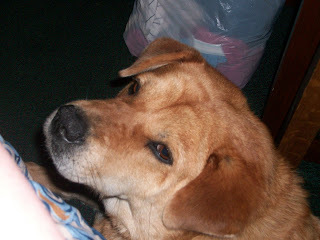 She is a mixed breed with Chow, Husky, German Shepherd, and Lab in her ancestry. Chow is her dominant breed. She's a sweetheart with me, not so much with other people. She's about 6 years old, and I've had her since she was a pup. If I had known about Chow Chow dogs before I got her, I would have socialized her a lot more. If you are thinking about getting a Chow, be sure you do your research. They are excellent one person dogs. But they do tend to be aggressive toward other people and other animals. 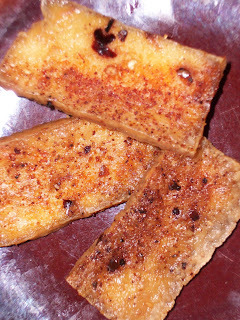 This is a picture of baked tofu. I know, you are saying, "yuck, tofu." Well, I am mostly a vegetarian, except for some fish from time to time. This recipe was made by slicing a block of extra firm tofu thinly, marinating in soy sauce, garlic and onion powder, a little hot sauce, and a little olive oil, then baking for a long time at about 325 F. The texture becomes nice and chewy, not tofu-like at all. 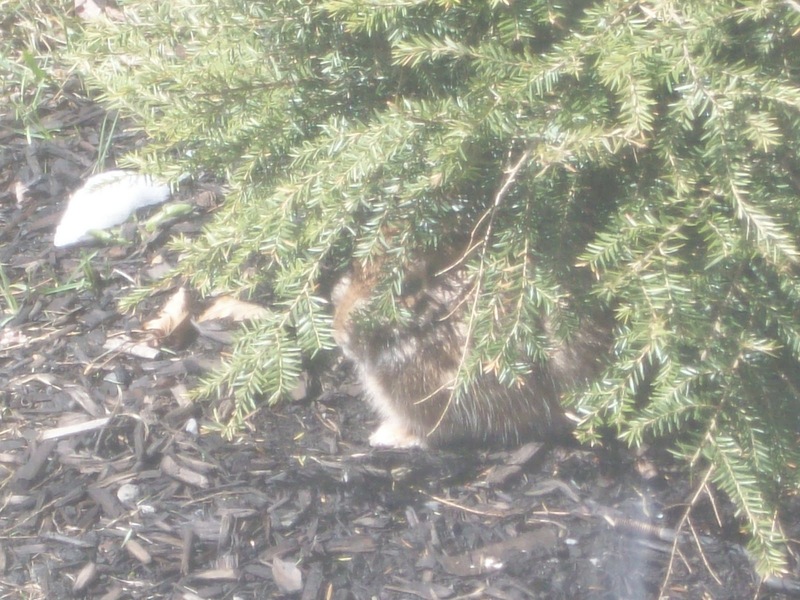 Here's a picture of a baby rabbit hanging out underneath a small hemlock tree. I took this shot looking out a window on March 23, 2011. You can see a little snow from the storm earlier this week. 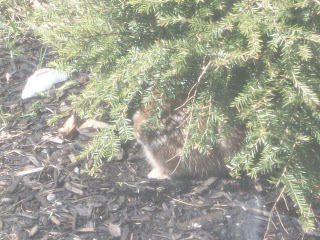 The bunny stayed there all afternoon. So there you have it. A sampling of the mundane and random musings and pictures you can expect from this simple exercise in joining the blogging community.